SpaceX is set to launch a Falcon 9 rocket on Thursday night, and while it may not be the primary payload, a small Israeli lunar lander is by far the mission's most intriguing payload. 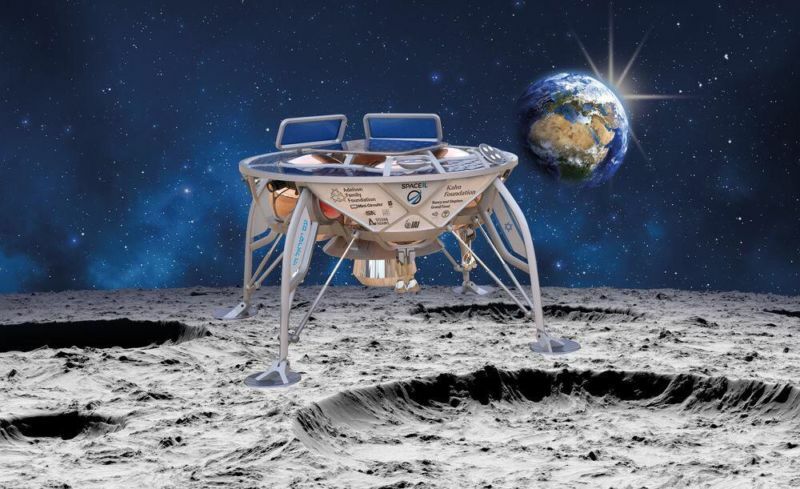 The 180kg Beresheet spacecraft, privately developed by SpaceIL in Israel and funded largely through philanthropy, will spend more than six weeks raising its orbit and becoming captured into lunar orbit before finally making the first private attempt to land on the Moon. Until now, only the US, Russian, and Chinese space agencies have ever successfully landed on the Moon. This means there is a lot of pressure on the small Israeli team leading the mission, both in their native country and among the commercial lunar community, which wants to prove that private ventures can do what only nations have done before. "What it means to me is that the responsibility is very high," said Yoav Landsman, a senior systems engineer for the project, in an interview. The vast majority of our DNA—the chromosomes in the nucleus of each cell—is just what you’d expect: a mix of genetic material from both mother and father. But mitochondria are an exception. They contain a relatively tiny amount of DNA, and in nearly all mammals and even unicellular organisms, that DNA comes strictly from the mother. We've even used that fact to trace the spread of humanity around the globe. But in 2002, researchers in Copenhagen reported a jaw-dropping finding. In an effort to work out why one of their patients had extreme fatigue during exercise despite seeming healthy in many respects, they started examining his mitochondria—the energy-generating power stations living in each cell. What they found floored them: the man had mitochondrial DNA (mtDNA) that matched both his father's and his mother's. 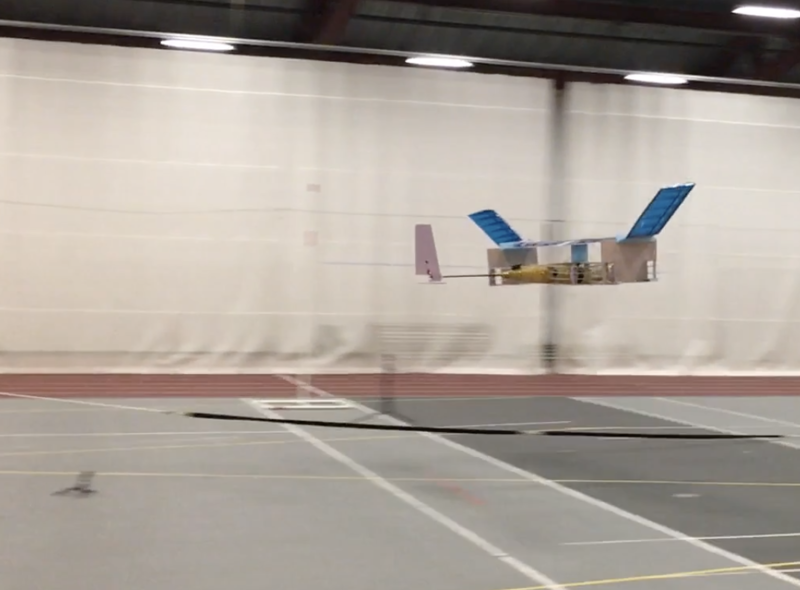 The Johnson Indoor Track at MIT probably won't go down in history in the same way as Kitty Hawk has, but it was the scene of a first in powered flight. A team of researchers has managed to build the first aircraft powered by an ionic wind, a propulsion system that requires no moving parts. While the flight took place using a small drone, the researchers' calculations suggest that the efficiency of the design would double simply by building a larger craft. In conventional aircraft, air is pushed around by moving parts, either propellers or the turbines within jet engines. But we've known for a while that it's also possible to use electrical fields to push air around. The challenge is that air is largely made of uncharged molecules that don't respond to electric fields. But at sufficiently high voltages, it's possible to ionize the nitrogen and oxygen that make up our atmosphere, just as lightning does all the time. The electrons that are liberated speed away, collide with other molecules, and ionize some of them as well. If this takes place in an electric field, all those ions will start moving to the appropriate electrode. In the process, they'll collide with neutral molecules and push them along. The resulting bulk movement of atmospheric molecules is called an ionic wind. Pasta purists insist on plonking dry spaghetti into the boiling pot whole, but should you rebel against convention and try to break the strands in half, you'll probably end up with a mess of scattered pieces. Now, two MIT mathematicians have figured out the trick to breaking spaghetti strands neatly in two: add a little twist as you bend. They outlined their findings in a new paper in the Proceedings of the National Academy of Sciences. This isn't the first time scientists have been fascinated by the physics of breaking spaghetti. The ever-curious Richard Feynman famously spent hours in his kitchen one night in a failed attempt to successfully break spaghetti strands neatly in half. It should have worked, he reasoned, because the strand snaps when the curvature becomes too great, and once that happens, the energy release should reduce the curvature. 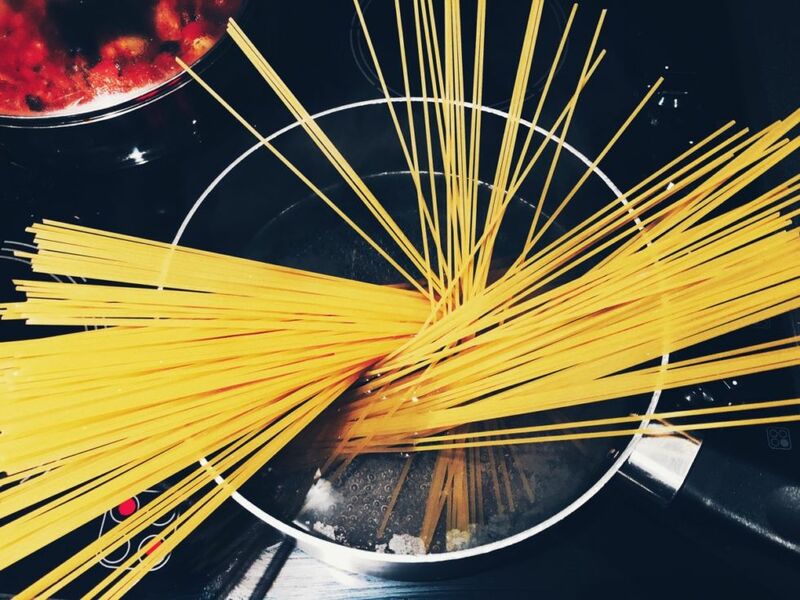 The spaghetti should straighten out and not break any further. But no matter how hard he tried, the spaghetti would break in three or more pieces. 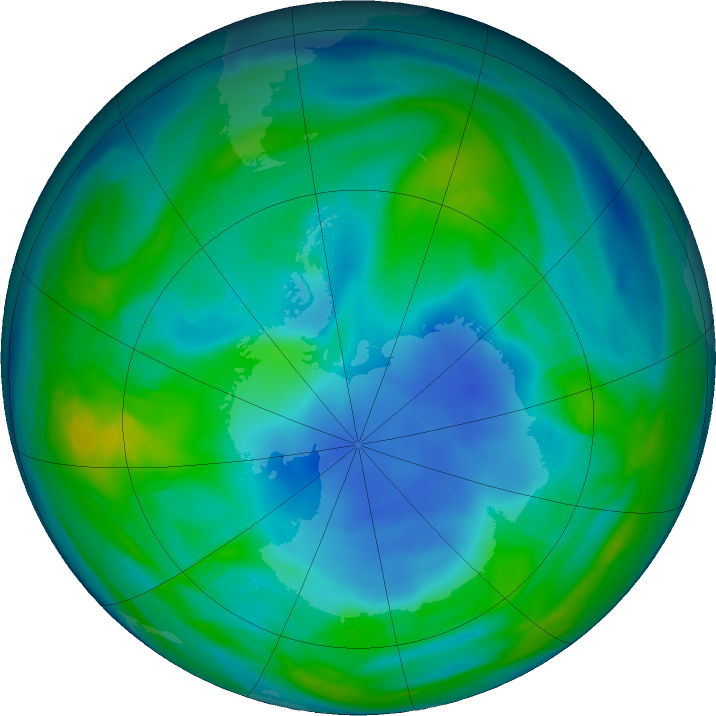 A couple months ago, an atmospheric study revealed that someone had started producing an ozone-depleting pollutant that had been banned under an international agreement to protect the ozone layer. The new source was preventing the chemical from dissipating on schedule. 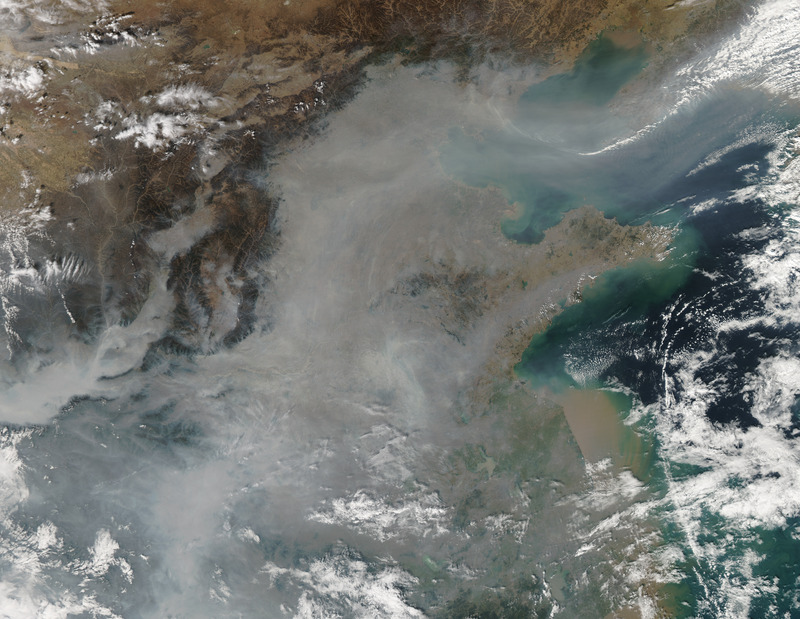 Although the researchers were careful about what they could conclude from regional measurements, they found that eastern Asia was likely the source. Now, a UK-based NGO called the Environmental Investigation Agency (EIA) says that it has uncovered a number of Chinese companies that are responsible. If you’re expecting an elaborate infiltration and undercover sting... adjust your expectations. 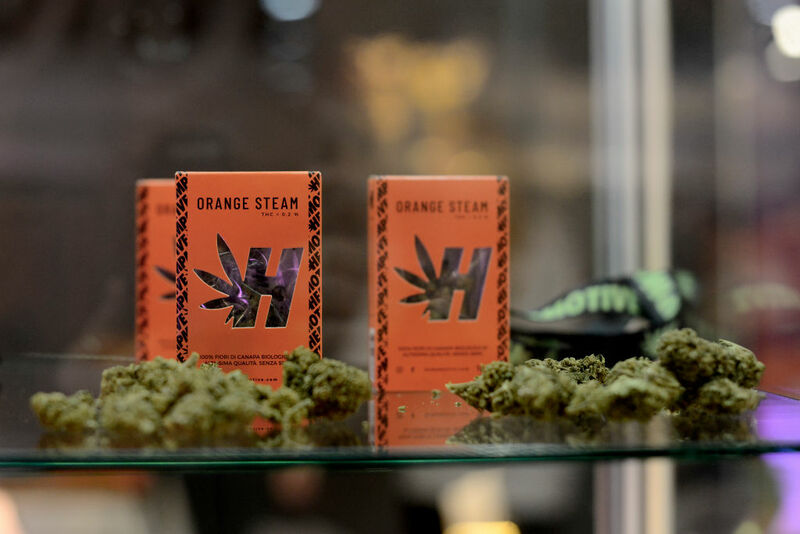 The investigation seems to have been shockingly easy, with the culprits’ representatives strangely amenable to detailing their illegal operations. The EIA started with a simple Internet search, which turned up a few companies that were apparently advertising sales of the banned chemical, known as CFC-11. Like other CFCs, 11 can be used as a refrigerant or a propellant in aerosol spray cans. But it was also widely use to “inflate” foam insulation, and that seems to be the market where at least some of its illicit use has continued. 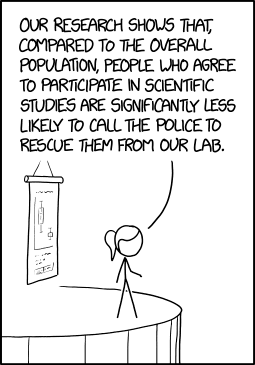 Human beings are good at this. If shown a picture of a table with only the front three legs visible, most people know intuitively that the table probably has a fourth leg on the opposite side and that the wall behind the table is probably the same color as the parts they can see. With practice, we can learn to sketch the scene from another angle, taking into account perspective, shadow, and other visual effects. 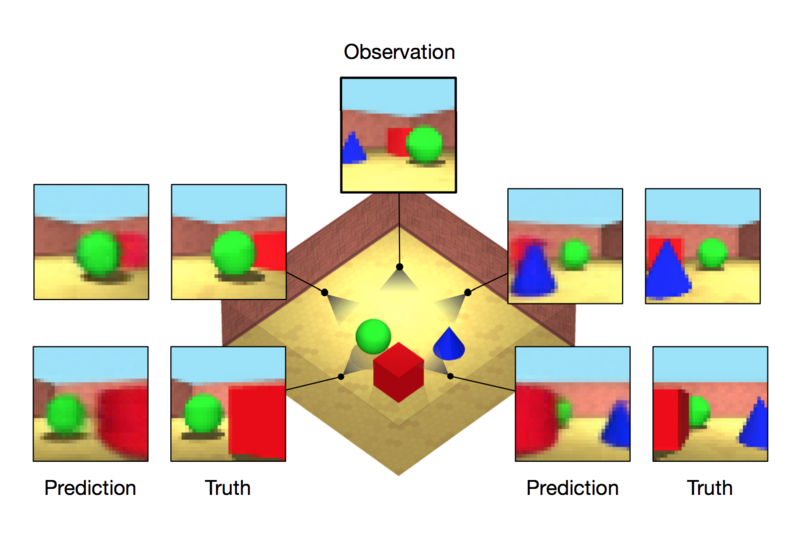 A DeepMind team led by Ali Eslami and Danilo Rezende has developed software based on deep neural networks with these same capabilities—at least for simplified geometric scenes. Given a handful of "snapshots" of a virtual scene, the software—known as a generative query network (GQN)—uses a neural network to build a compact mathematical representation of that scene. It then uses that representation to render images of the room from new perspectives—perspectives the network hasn't seen before. Anyone who has tried to pull a late-night study session and wound up rereading the same pages of their textbook because they couldn't focus has experienced it. And countless studies confirm it: if you're sleep deprived, your brain starts functioning poorly. 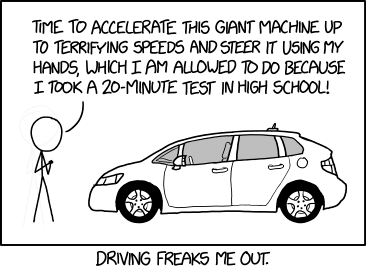 Your reaction times slip, you are more prone to careless actions, and you generally just get bad at things. But how is it your body registers "too little sleep"? It could be after you spend too much time awake. Or it could be the amount of sleep you get in a 24-hour period. 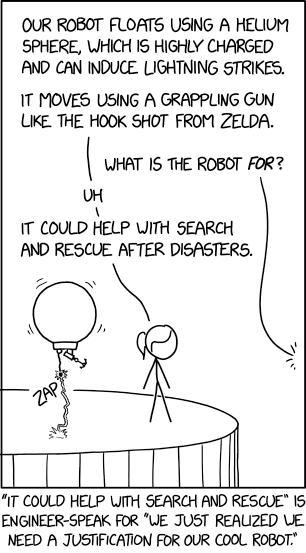 Or it could be tracked in relationship to your body's internal 24-hour circadian clock. A new study out this week suggests it's not just one of these things, and different aspects of our mental capacities are either more sensitive or less sensitive depending on how we end up short on sleep. The challenge with separating out different aspects of sleep deprivation in the real world is that anything you do will involve multiple aspects of sleep. Get too little sleep during a 24-hour cycle, which means more awake time—and awake at times your circadian clock says you shouldn't be. So, the researchers behind the new work messed with people's clocks. They got a small group of people (because it would be hard to recruit a large one) to live at a sleep center for 32 days, cut off from any indication of outside time. The Montreal Protocol—a 1987 international agreement to end production of ozone-destroying chemicals like freon—seems miraculous compared to the long struggle to achieve meaningful action on climate change. Even more astonishing is that the agreement has worked. Those chemicals (known as CFCs) take a long time to flush out of the atmosphere, but monitoring has shown that the flushing is proceeding largely according to plan. That keeps the hole in the ozone layer on track to shrink over the coming decades. However, a new study shows that someone has been cheating in the last few years. A group of researchers led by Stephen Montzka of the US National Oceanic and Atmospheric Administration had been tracking the progress of CFCs and noticed something off with CFC-11. This chemical has been used as a refrigerant, solvent, and propellant for aerosol spray cans, as well as in the production of styrofoam. As with the other CFCs, nations agreed to end production of CFC-11 entirely. While there may still be some older machines leaking CFC-11, these sources should gradually disappear over time, allowing the decline of its atmospheric concentration to accelerate. Scientists studying data from NASA's Juno spacecraft have published a trove of papers in Nature this week, making a number of intriguing and surprising findings about the atmosphere of the largest planet in our Solar System. The papers are summarized and linked in this NASA news release. 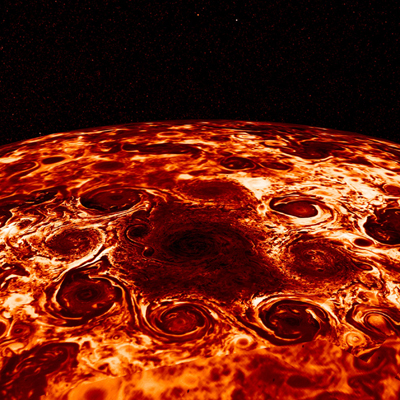 Some of the most striking discoveries come from visible and infrared observations made by Juno during its first five science passes in its elongated orbit around Jupiter. (The spacecraft entered Jupiter's orbit on July 4, 2016. It will make its 11th pass on April 1.) In these initial passes, scientists found clusters of strange and long-lasting cyclones orbiting the north and south poles of Jupiter. A funny thing happens to languages that have huge numbers of speakers: over time, they seem to simplify. They lose all the fiddly bits that make languages like Hungarian so incredibly hard to learn, and instead become more regular and grammatically simple. But at the same time that the grammatical challenge of these languages shrinks, their vocabulary explodes. 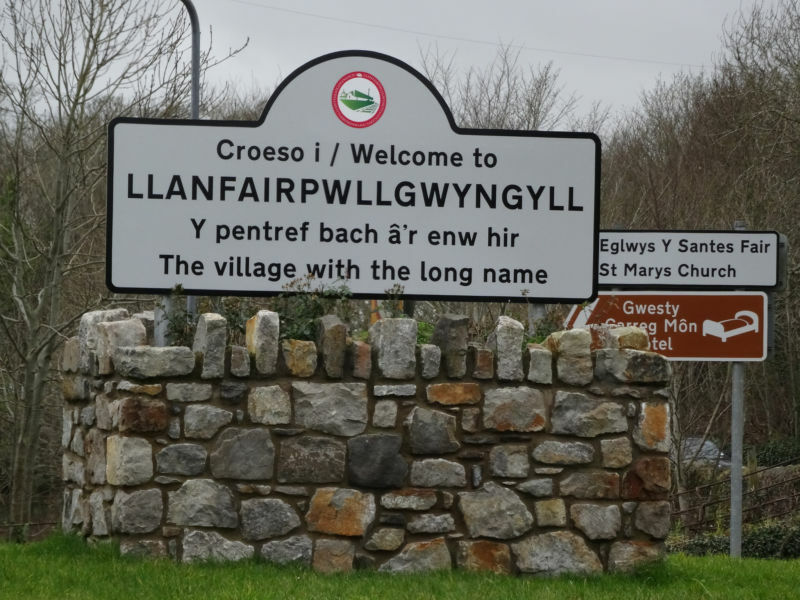 This leaves a mystery for researchers who study how language structures emerge in humans: why does population size seem to drive increased complexity in vocabulary but reduced complexity in grammar? There are some intuitive answers to this question, but we need to confirm whether those intuitions are backed up by data. 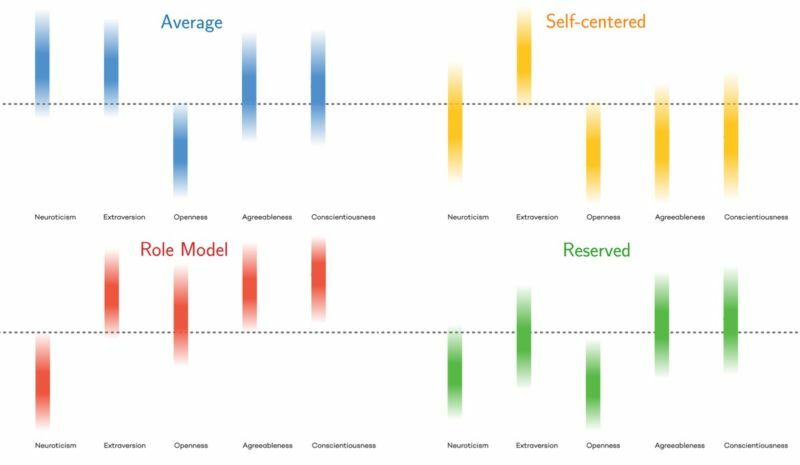 Evolutionary linguists Florencia Reali, Nick Chater, and Morten Christiansen have used a computational simulation to suggest an answer: the two different kinds of complexity are very different in how easy they are to learn, and they're passed on to others through conversation. Their results imply that “language, and possibly other aspects of culture, may become simpler at the structural level as our world becomes increasingly interconnected,” they write. A few years back, a company called Oxford Nanopore announced it was developing a radically different way of sequencing DNA. Its approach involved taking single strands of the double helix and stuffing them through a protein pore. With a small bit of current flowing across the pore, the four bases of DNA each created a distinct (if tiny) change in the voltage as it passed through. These could be used to read the DNA one base at a time as it wiggled through the pore. 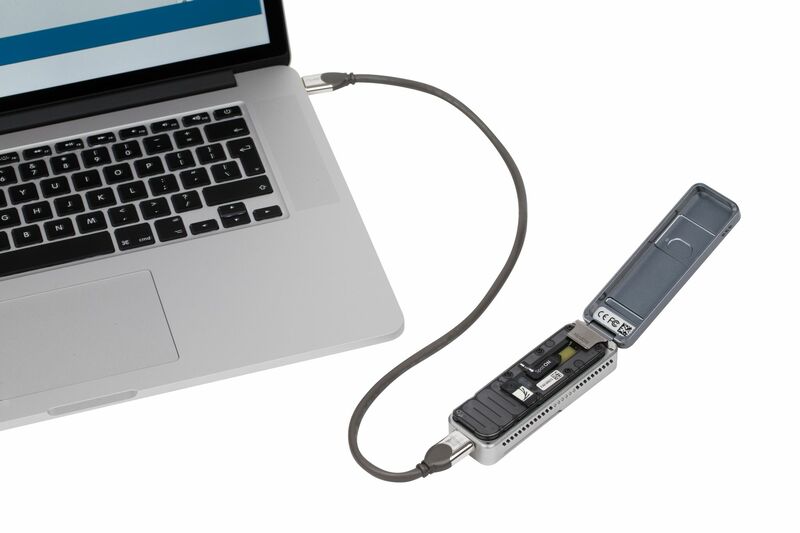 After several years of slow progress, Oxford Nanopore announced that its sequencing hardware would be as distinctive as its wetware: a USB device that could fit comfortably in a person's hand. As the first devices went out to users, it became clear that the device had some pros and cons. On the plus side, the device was quick and could be used without requiring a large facility to support it. It could also read very long stretches of DNA at once. But the downside was significant: it made lots of mistakes. With a few years of experience, people are now starting to learn to make the most of the devices, as demonstrated by a new paper in which researchers use it to help sequence a human genome. By using the machine's long reads—in one case, nearly 900,000 bases from one DNA molecule—the authors were able to get data out of areas of the human genome that resisted characterization before. 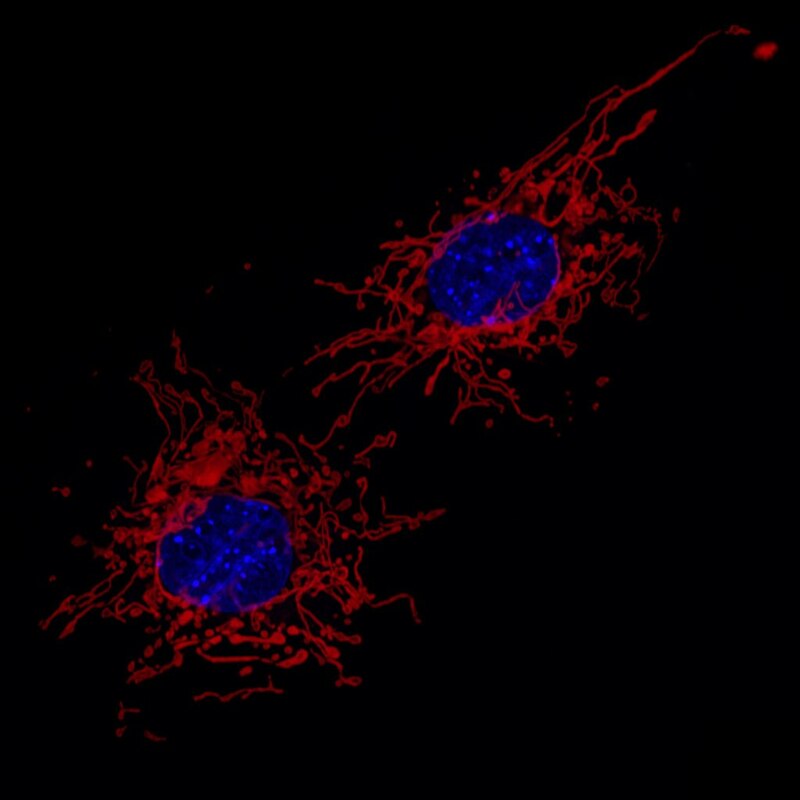 And they were able to distinguish between the two sets of chromosomes (one from mom, one from dad) and locate areas of epigenetic control in many areas of the genome. All sorts of 3D-imaging technologies tend to get lumped under the label "hologram." But there's actually a variety of distinct technologies that can create the appearance of depth. Now, we can add another to the list: the photophoretic-trap volumetric display. The device uses one set of optical hardware to control the motion of a tiny sphere and a second set to illuminate the sphere as it travels. Provided the sphere can be kept moving fast enough, the result is a true-color image that has real depth since it's built from light reflected from different locations. The downside is that a single sphere can't cover all that much ground in the amount of time our brain needs to construct an image. As a result, photophoretic-trap volumetric display is currently limited to either small images or showing only part of an image at a time. 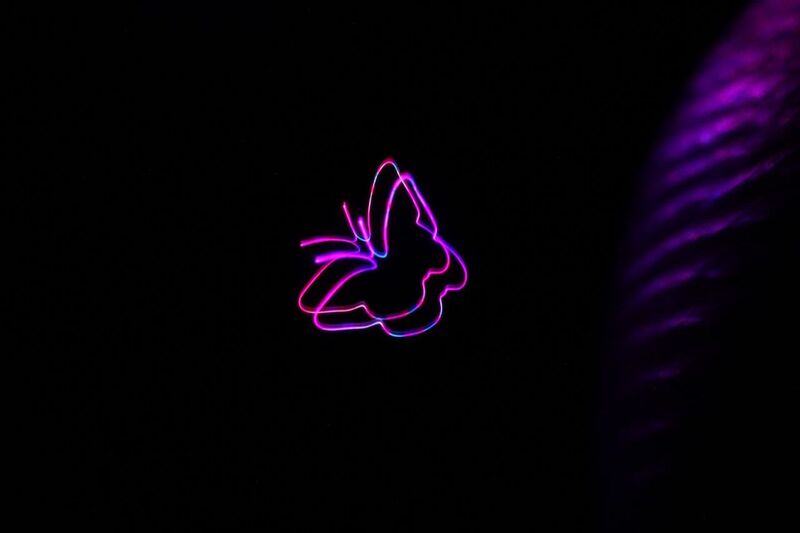 The recent work, from a team at Brigham Young University, is a variation on volumetric displays. These involve projecting a changing image onto a moving reflective surface. If the change in the image is properly matched to the changing location of where it's projected, the result will be the appearance of depth, since the light you see will actually be reflected at different locations. On the plus side, this doesn't require the viewer to wear any hardware, and multiple people can view the image at the same time, each seeing it from the appropriate perspective. 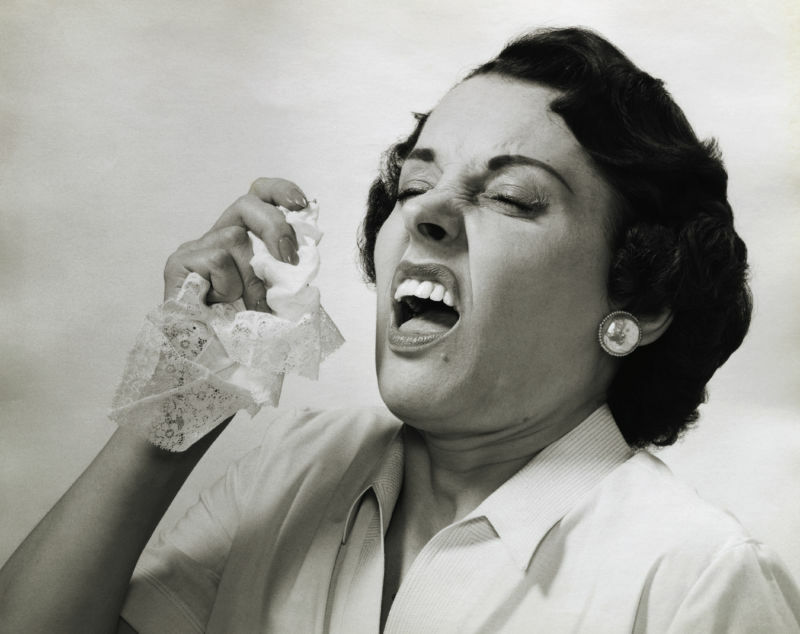 Ah… AHHH… Choose wisely when it comes to handling that impending sneeze. Holding one in can lead to some serious damage, British doctors report Monday in BMJ Case Reports. In their rare-disease case report, they relay the tale of an otherwise healthy 34-year-old male who managed to tear a hole in the back of his throat trying to extinguish a snot explosion. The man showed up in an emergency room with an alarming popping sensation and swelling in his throat. He was also in terrible pain and could barely talk. Subsequent X-rays and CT scans revealed that he had bubbles of air throughout his neck, including along his spine. The doctors also noted a crackling, grating sound coming from both sides of his throat down to his chest, which is a sign of gas trapped inside tissue. To the best of our ability to tell, everything on Earth shares a few common features. 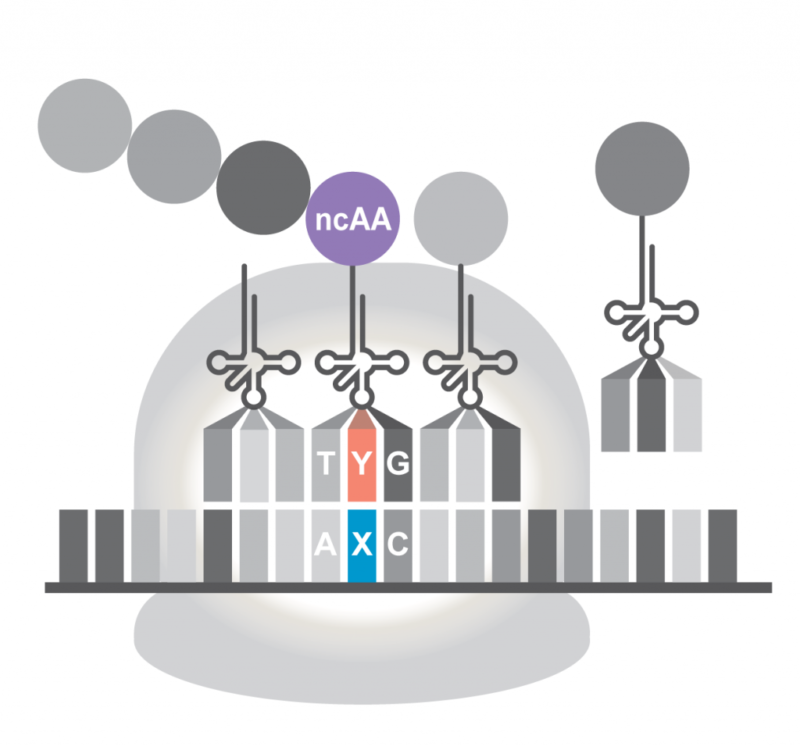 It encodes information in DNA using four bases, A, T, C, and G. Sets of three consecutive bases are used to code for a single amino acid, and most organisms use a set of 20 amino acids to build proteins. These features appear everywhere, from plants and animals to bacteria and viruses, suggesting that they appeared in the last common ancestor of life on Earth. This raises a question that comes up a lot in evolutionary studies: are these features used because they're in some way efficient, or did we end up stuck with them as a result of some historic accident? A team of California-based researchers has been building an argument that it's an accident. And it's doing so by expanding life beyond the limitations inherited from its common ancestor. After having expanded the genetic alphabet to six letters, the team has now engineered a bacterial strain that uses the extra letters to put an unnatural amino acid into proteins. 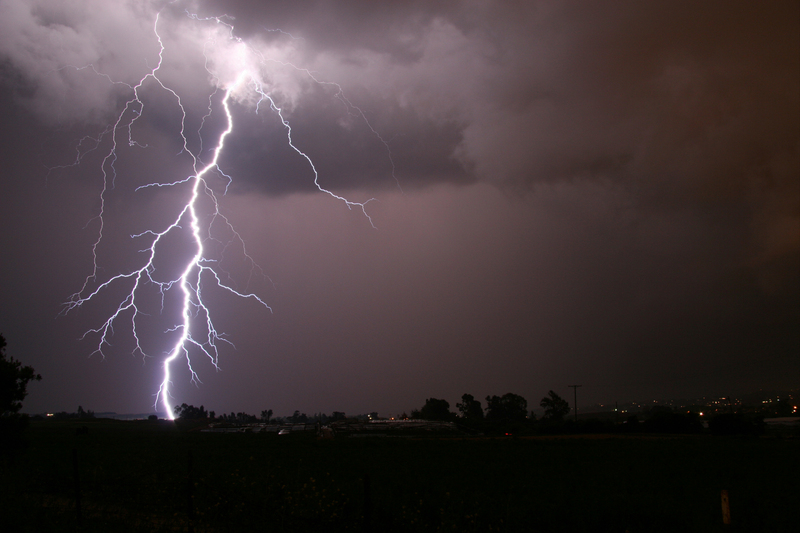 Thunderstorms have a lot of overt indications of power, from the thunder and lightning to torrential rains and hail. But the full extent of their power wasn't obvious until recent years, when we discovered they generate antimatter. Now, researchers in Japan have looked at this phenomenon more closely and determined that a lightning bolt generates a zone that contains unstable isotopes of oxygen and nitrogen, leading to series of radioactive decays over the next minute. All of these phenomena are powered by the fact that the electric fields within thunderstorms are able to accelerate electrons to extremely high energies. Whenever these electrons move along a curved path, they emit radiation that's proportional to their energy. As a result, a storm can be associated with bursts of gamma rays, extremely high-energy photons. Gamma rays rays are primarily noted for their interaction with the electrons of any atoms they run into—it's why they're lumped in the category of ionizing radiation. But they can also interact with the nucleus of the atom. With sufficient energy, they can kick out a neutron from some atoms, transforming them into a different isotope. Some of the atoms this occurs with include the most abundant elements in our atmosphere, like nitrogen and oxygen. And, in fact, elevated neutron detections had been associated with thunderstorms in the past. Mars clearly had extensive water in the past, and there's still plenty of it locked up as ice in glaciers and the polar ice caps. But the atmosphere is too thin and cold to allow liquid water to exist on the surface, which makes prospects for life on the Red Planet far less likely. 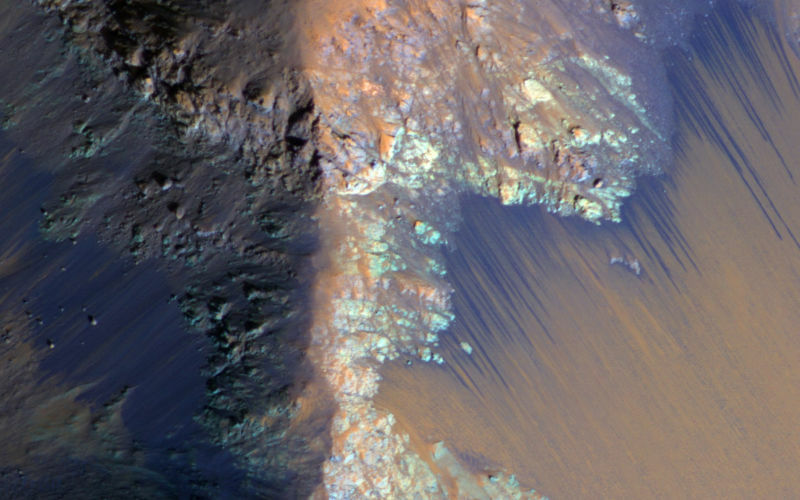 Back in 2011, however, researchers suggested that, contrary to our expectations, there might still be some water seeping out onto Mars' surface. Darkened features were identified on a variety of slopes, and they seemed to appear during warmer seasons and vanish as temperatures plunged again. 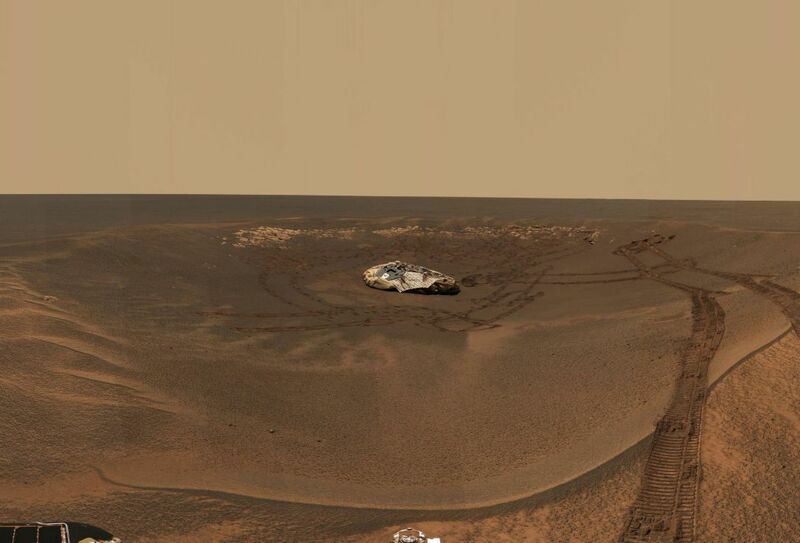 The Mars Reconnaissance Orbiter appeared to detect water at the site. But other researchers proposed a physical mechanism that didn't involve water that could account for the seasonal changes. Now, a review of the evidence in Nature Geoscience argues that there are problems with almost all of the potential causes for these seasonal features. And, in the absence of a compelling case for water, it's best to assume that the harsh conditions mean what we typically thought they did: Mars is a dry planet. 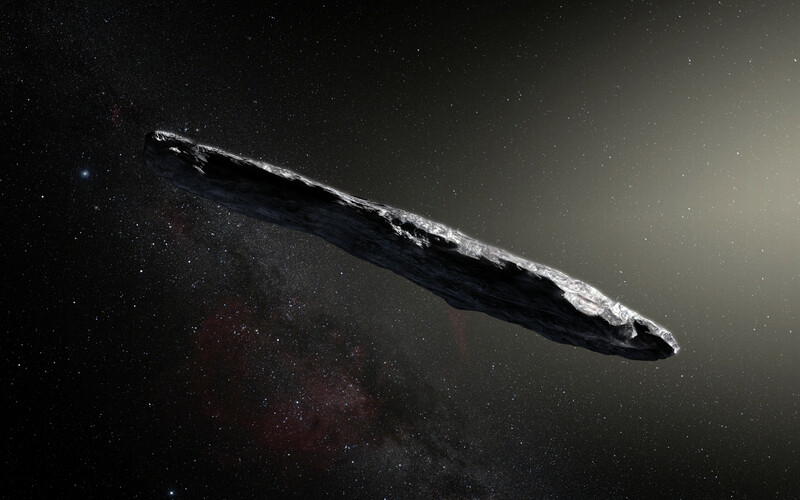 Since mid-October, the astronomy community has been buzzing about what might be our Solar System’s first confirmed interstellar visitor. An automated telescope spotted an object that appeared as if it had been dropped on the Solar System from above, an angle that suggests it arrived from elsewhere. Now, a team of astronomers has rushed out a paper that describes the object's odd properties and gives it the name “1I/2017 U1 ‘Oumuamua.” In Hawaiian, ‘Oumuamua roughly means “first messenger,” and the 1I indicates that it’s the first interstellar object. ‘Oumuamua was first spotted on October 19 by the Pan-STARRS1 automated telescope system. Pan-STARRS1 turned out to have captured images of the object the day previously, but the automated analysis software hadn’t identified it. Further images over the next few days allowed researchers to refine its travel through our Solar System, confirming that ‘Oumuamua was making the most extreme approach toward the inner Solar System of any object we’ve ever seen. In essence, it appeared to have been dropped onto the Solar System from above, plunging between the Sun and the orbit of Mercury. It was also moving extremely quickly. The Solar System was formed from a flattened disk of material, and all of the planets orbit roughly in the plane of that disk. 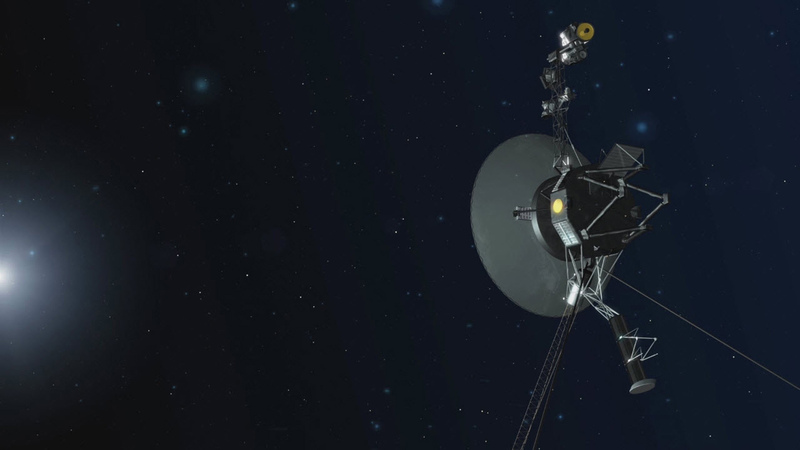 Smaller objects, like dwarf planets and comets, may take somewhat more erratic approaches with orbits tilted out of that plane, but they still roughly aligned with it. We had literally never seen anything like ‘Oumuamua. The tasty Japanese seaweed nori is ubiquitous today, but that wasn't always true. Nori was once called “lucky grass” because every year's harvest was entirely dependent on luck. 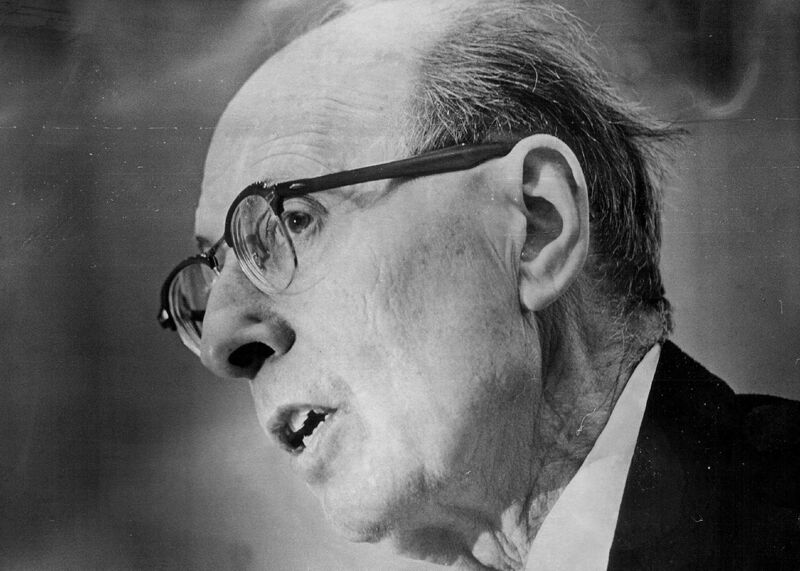 Then, during World War II, luck ran out. No nori would grow off the coast of Japan, and farmers were distraught. But a major scientific discovery on the other side of the planet revealed something unexpected about the humble plant and turned an unpredictable crop into a steady and plentiful food source. Nori is most familiar to us when it's wrapped around sushi. It looks less familiar when floating in the sea, but for centuries, farmers in Japan, China, and Korea knew it by sight. 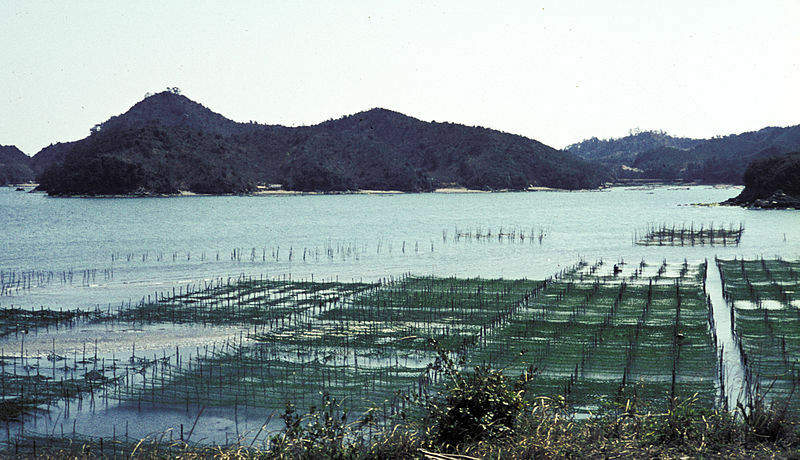 Every year, they would plant bamboo poles strung with nets in the coastal seabed and wait for nori to build up on them. At first it would look like thin filaments. Then, with luck, it grew into healthy, harvestable plants with long, green leaves. The farmers never saw seeds or seedlings, so no one could cultivate it. The filaments simply appeared every year. That is, they appeared until after World War II, when pollution, industrialization along the coast, and a series of violent typhoons led to a disastrous drop in harvests. By 1951, nori production in Japan had been all but wiped out.